When planning a trip to Paris, one of your most pressing questions is likely to be "when is the best time to go?" While all four seasons in Paris can be delightful, the best time to visit Paris is during the summer when temperatures are nearly parfait (perfect) and long, sunny days make it easy to see all the sights. If you're set to visit Paris for the first time, you may be persuaded that the much-lauded "Paris in the springtime" is the obvious choice—but depending on your budget, tolerance for large crowds, and your personal centers of interest, another time of year may, in fact, suit you much better. Every season in Paris has its charms and pitfalls, pros and cons. Read on for more information on the general feel and ambiance of each season, as well as info on what to see and do in Paris around the year. The winter holiday season in Paris offers plenty of light and celebration as the city lights up for Christmas and other winter holidays. Galeries Lafayette and other landmarks are adorned with festive holiday decor. In the fall, meanwhile, events like the Montmartre Wine Harvest (Vendanges) and Nuit Blanche, an all-night arts and culture event that sees crowds throng the streets for free exhibits and performances, bring the city to life in memorable ways. Spring marks the beginning of the city's jazz festival season. Jazz fans shouldn't miss the Banlieue Bleues Festival, which typically begins in March and extends through the summer. The St-Germain-des-Prés Jazz Festival usually starts in May. During summer, the city is quieter as Parisians go on holiday, but there are still ample things to do, like free open-air movies in the park and abundant music festivals. 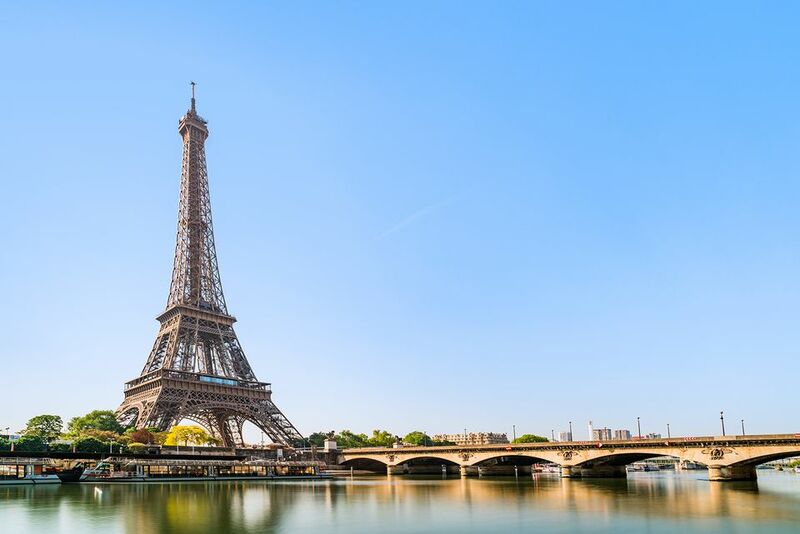 Paris typically has cold and slightly damp winters, with high temperatures hovering around 40 degrees Fahrenheit and lows of approximately 35 degrees. Snow isn't frequent but can happen. March and April are also chilly, but temperatures can break into the 50s. It isn't until May that a thaw takes place, with temperatures slowly but surely climbing into the 60s. (Of course, rain in May is typical, so keep an umbrella close at hand!) Summers can be warm and muggy, but are typically pleasantly warm, with temperatures rarely exceeding 80 degrees. Sometimes an "Indian summer" continues well into September. November can be cold and wet, while December is crisp but dark as the days get shorter. Spring and summer are undoubtedly the most popular seasons in Paris. During spring, Parisians are out enjoying their city in full force, while in summer, many are away on holiday—leaving the city crowded with tourists. Flights and accommodations will be most expensive during these two seasons. For gorgeous seasonal blooms, picnics, and romantic Easter getaways, Paris in spring just can't be beat. Remember, though, that this is an incredibly popular time in the capital for tourism, so booking early is essential if you want to snag a good deal. If you're a sports fan, the French Open kicks off the third week of May. In early April, the Paris Marathon hits the streets, as thousands run 26.2 miles in the City of Light. If you don't mind sharing the city with hundreds and thousands of other tourists and love the idea of long, lazy days and nights at a time when the city's at its most relaxed, summer is a great time to explore the French capital. Many French people go on vacation, so while summer is a relaxed time to visit, some tourists might find it to be a bit too sleepy as some boutiques, restaurants, and bars go on their annual "vacance" and close for several weeks at a time. On June 21 each year, the Fête de la Musique turns every corner of the city into an open-air concert space. Bastille Day, July 14, is one of the country's most popular holidays and is celebrated with parades, fireworks, and more. Poetic and romantic souls will love the contemplative mood during this time—and if you're an art or book lover, exhibition season is in full swing in the autumn. Fall can be quite chilly and the days are short, but the leaves turning and crispness in the air makes those strolls along the Seine that much more beautiful. Don't miss the Vendanges de Montmartre, a quirky event held at Paris's last remaining vineyard. On Oct. 6, the city hosts Nuit Blanche (White Night), when galleries and other art spaces stay open late for visitors. Christmas markets, ice skating rinks, New Year's celebrations of both the western and Chinese traditions: despite its gloomy reputation, winter is a lively and colorful time in the capital, and a great time to book a family trip. Many of the city's most glamorous department stores have impressive light and window displays, giving the whole city a festive feeling. The Champs-Elysées turns on its stunning Christmas light display each year toward the end of November. Wine lovers won't want to miss the Salon des vins des vignerons indépendants (Independent Wine Producers Fair), which is held over the last weekend of November each winter.